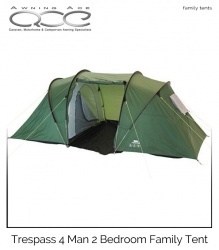 This Pro Action 4 Man Dome Tent is perfect for festivals and family camping holidays. 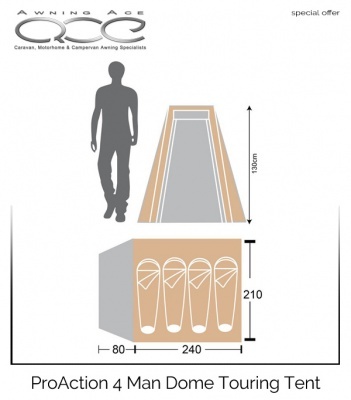 The zipped door provides a porch for muddy shoes. 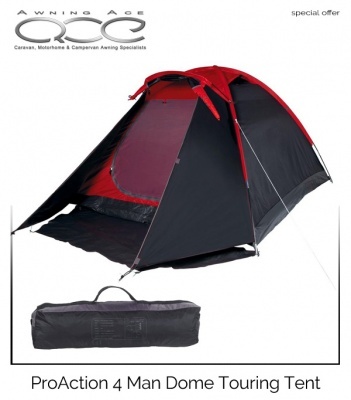 Perfect touring or festival tent ideal for motorcyclists, backpackers and cyclists. 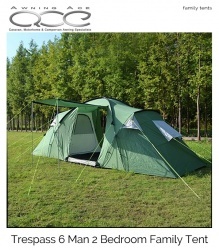 Pitched size H130, W210, L320cm. Packed size L65, W14, D14cm.